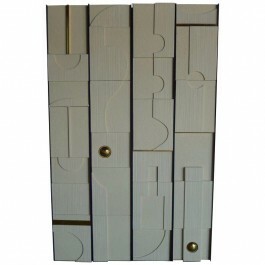 Modern architectural decorative series of four wall panels in mixed materials and textures. Measurements indicated are overall. Each placed individually so can be hung as shown or as desired. Each additional series individually fabricated and will vary from image as shown but can be recreated as close as possible or customized within certain limitations.For hanging and shipping reference each panel measure 11.25 inches wide. 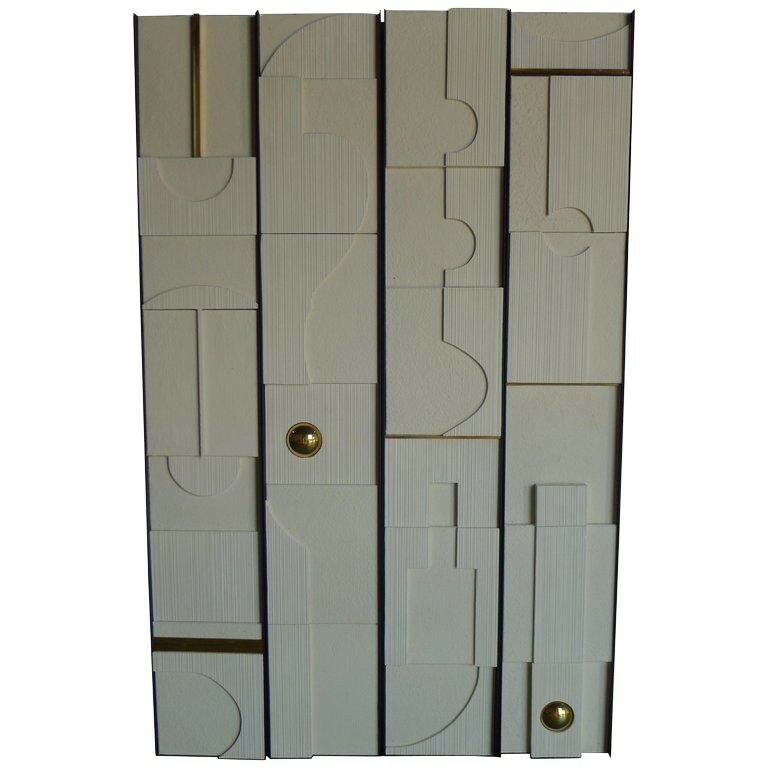 Materials: Gesso relief, steel, unlacquered brass with natural imperfections. Frame: Steel with oil-rubbed bronze finish.